1. Click on the accounts tab located on the left side toolbar. 2. Click on the specified law firm from the drop-down menu. 3. Click on the 'People' tab and then 'Add user'. 4. Enter your user information in the menu. 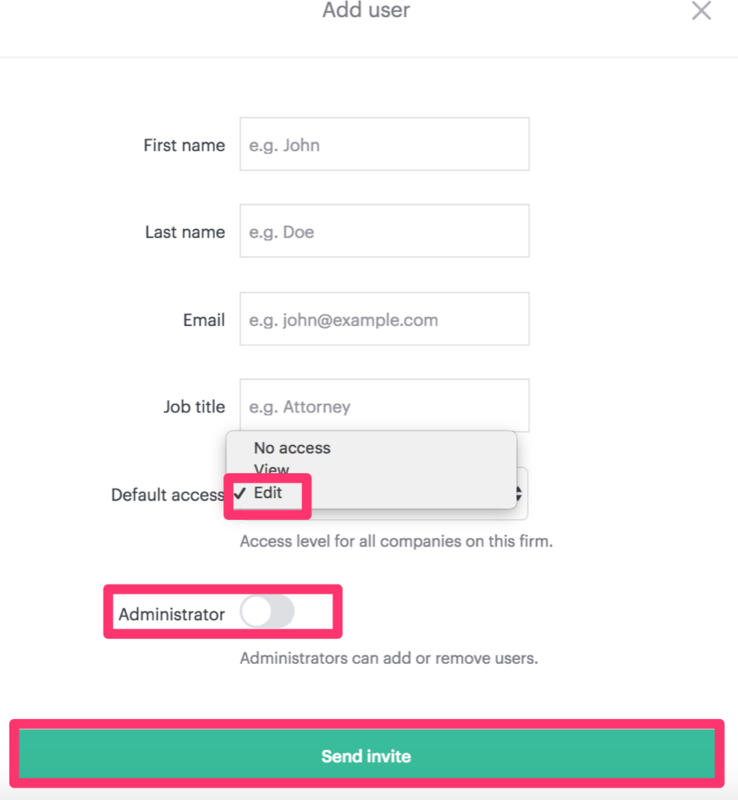 Under default access, choose edit to give the administrator edit access for all companies on this firm. Then turn on the 'Administrator' function and select 'Invite' to complete.